Do you need NJ generator installation? Contact Bold Generators today. Just like a car, a generator requires regular maintenance and upkeep to ensure that it is ready to go when you need it most. Last winter was very rough. There were tens of thousands of NJ residents that lost power due to heavy and wet snow. There were many outages in Warren NJ and unfortunately, many of those homeowners were without generators and stuck without power. If you are thinking about purchasing a generator, there are many different options available to you. Today, we will be discussing some of those options to help guide you generator purchasing decision. If your generator is not working and you are in need of Warren generator repair, contact us today! We have both New Jersey state electrical and builders licenses. We have a full-time office staff dedicated to accurately process the permit requirements for Warren's specifications. For more information on our services, you can call us at (908)421-9157 or visit the website. In addition to providing generator maintenance in Warren, we service all of Central NJ including places like, North Plainfield, Scotch Plains, Berkeley Heights, Green Brook Bridgewater and more. If you are considering buying a generator for your home, consider Kohler Generators. Warren Kohler generators are a great way to keep you and your family safe and secure in the event of a power outage. However, just like a car, a generator requires regular maintenance and upkeep to ensure that it is ready to go when you need it most. Bold Electric LLC is the parent company to boldgenerators.com, has acquired a reputable history of installing Kohler Stand-By Generators and are also certified by Kohler to provide their generator maintenance service. Kohler Generators have the longest manufacturer warranties in the business and a power restore period of up to four times faster than other generator brands. We have a full-time office staff dedicated to accurately process the permit requirements for each town’s specifications. Gasoline generators are among the most common, primarily because gasoline is readily available and these generators are on the low-end of the cost scale. However, gasoline is usually unavailable during power outages, because it requires electricity to pump. Gasoline generators are available in small sizes, ideal for portable models, but the fuel is highly flammable. Gasoline lasts less than one year when stored, and gas prices are comparatively higher than diesel, propane, and natural gas. Gasoline generators produce relatively high emissions, and do not typically last as long as some other models. They also tend to not start well in colder temperatures. Diesel is the least flammable of all the fuel sources, and is almost as readily available as gasoline. These engines have long lifespans, and perform more efficiently while lasting longer under heavy, rigorous use, so long as they are properly maintained. Diesel generators are affordable to operate, though these units typically cost more than gas generators. Some states, counties, and municipalities allow farm operations to purchase diesel at a reduced tax rate, or without tax levies at all. Additionally, diesel generators start relatively easily in cold environments. Diesel fuel is only good up to 24 months in storage, and storing large quantities can be expensive. Like gas, it’s often impossible to pump diesel during power outages. Because diesel engine emissions are quite high, some areas limit the number of hours these engines can be operated per day due to environmental concerns. Moisture in the fuel ruins it, so it is not well suited to wet environments (such as those near lakes and rivers or outdoors in the elements). Diesel generators require regular maintenance by a qualified mechanic, and are heavier engines, therefore less portable. Propane has a longer shelf life than gasoline or diesel fuels, and burns far cleaner. It is easily stored in any quantity, and is readily available even during power outages. Propane produces relatively low emissions, and is not subject to “wet stacking” common in diesel generators. Propane generators are generally affordable, and last a long time. Propane also starts easily in cold temperatures, and offers quiet operation. On the other hand, propane is kept under pressure, and is highly flammable. The fuel systems are more complex, therefore subject to failures that are more frequent. Installation costs are higher because a qualified technician must install the gas lines. Propane generators are more expensive to buy and operate, burning about three times the amount of fuel as comparable diesel engines. Additionally, propane units typically do not have long life expectancies compared to some other generator types. Bold Electric, LLC., specializes in Warren generators and Warren generator maintenance. Bold Electric LLC is the parent company to boldgenerators.com, has acquired a reputable history of installing Kohler Stand-By Generators and are also certified by Kohler to provide their generator maintenance service. Kohler Generators have the longest manufacturer warranties in the business and a power restore period of up to four times faster than other generator brands. We have a full-time office staff dedicated to accurately process the permit requirements for each town’s specifications. We have both New Jersey state electrical and builders licenses. For more information on our services, you can call us at (908)421-9157 or visit the website. In addition to providing generator maintenance in Warren, we service all of Central NJ including places like, North Plainfield, Scotch Plains, Berkeley Heights, Green Brook Bridgewater and more. Searching for the best Middlesex County Standby Generators? Needing a NJ Kohler Generator Maintenance? Bold Generators is the place to go. When living in areas where the electricity goes because of bad weather or different incidents, a standby generator would be an investment for your home or business. An occasional thunderstorm in the Summer or a blizzard in the Winter can cause power outages. If this happens life gets a bit stressful. You can prevent the loss of power in your home or business by purchasing a standby generator. It is best to contact a licensed electrician to do the job right and be safely. Here are some advantages for investing in a standby generator. Every home and business have unique needs when it comes to having a standby generator installed. A professional technician would be able to evaluate the right standby generator that you need to purchase for your home or business. Choosing the right standby generator will guarantee you and your family will have electricity that is needed until the power is fully restored in your home by the power company. A standby generator is designed to work automatically. As soon as it detects that there is a power outage, it will turn on right away within a few seconds from the power going out. As a result, you do not have to do anything to make the standby generator do its job. You do not have to wait a long time to have the cooling, heating, or lighting come back on when the power is out. Installing a standby generator, you can have peace of mind that if there is a power outage, the standby generator will operate automatically and immediately. You do not have to worry if there is a huge storm coming, your family will remain comfortable and safe. Peace of mind is priceless, and your main concern is the safety of your family and home. Standby generators remove stress during a power outage. When having a standby generator in your home or business providing all the power that you need, you are able to avoid some issues. If the power goes out in a blizzard, you and your family can stay warm and the food in your refrigerator will not spoil. Having a standby generator will also provide that all appliances are in working condition, again, providing for your family. When having a standby generator installed in your home, it will be connected to your home’s current fuel line. Therefore, you do not have to worry about fueling the generator before you need to use it. Whether you have propane or natural gas, it doesn’t matter, it will take what fuel you have in your home. 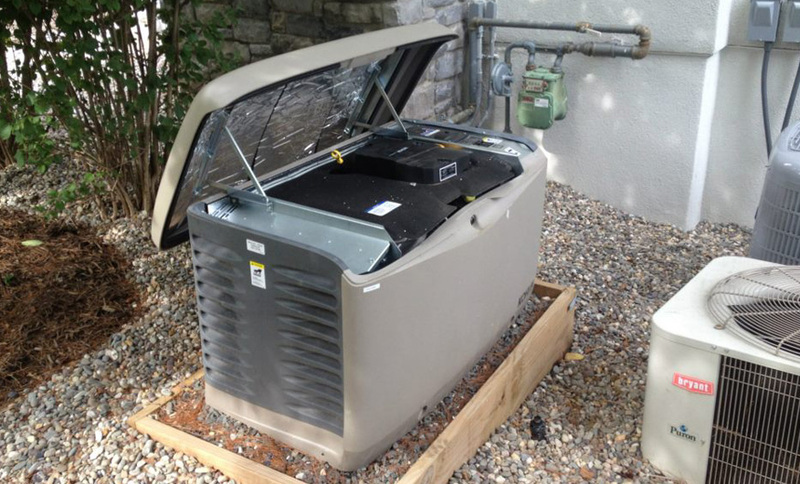 Wanting to install the best Middlesex County Standby Generators? Bold Generators is the place to call. As you can see a standby generator offers many advantages to a homeowner or a business owner. If you are thinking of having a standby generator installed, be sure to call the professionals at Bold Generators. They will help you pick the right size generator for your home or business, ensuring that you will remain comfortable and safe when the power goes out. The staff at Bold Generators takes the burden off of your shoulders and provides all your electrical needs. At Bold Generators we provide our clients with a comprehensive, full service for all their home or business electrical needs. Contact us at (908) 421-9157 to schedule your standby generator installation or maintenance today! Are you in the market for a Union County Home Generator Installation? A homeowner is always concerned about blackouts and major storms when the electricity goes out because it affects the inside of their home. The heat stops and food in the fridge can be ruined. A standby generator can make sure that the home remains normal for days. 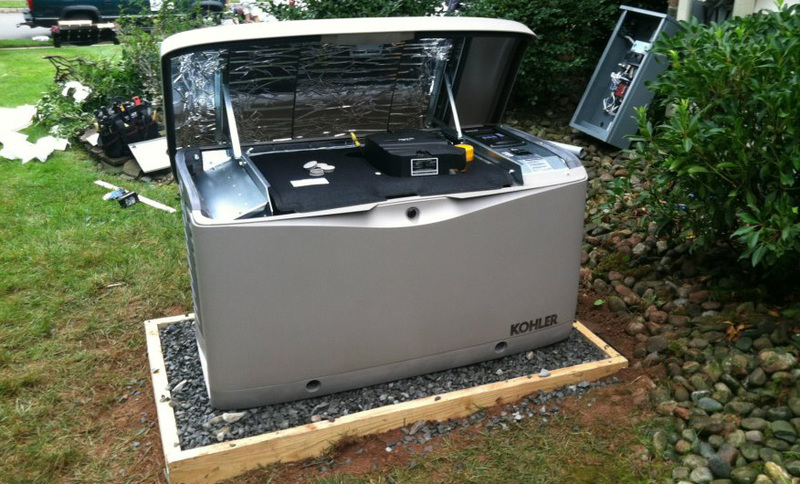 At Bold Generators, LLC we have the best NJ Kohler Generator Maintenance plan for you. A standby generator offers a trusty solution for outages in your home. A portable generator is installed permanently on a concrete pad outside of your home and can provide you with uninterrupted service for days. It is connected directly to your home’s panel and when the power goes off, it automatically kicks in and puts everything back on as normal. A home generator comfortably powers your entire home. Once the power goes off there is an automatic switch. It disconnects your home from the utility and the switch starts up the generator before transferring its power to the home’s electrical panel. The engine is usually fueled by local natural gas. Once the utility power comes back on the switch shuts down the generator and reconnects your house with the utility service. The transfer switch is a safety device. It is best to check with the town you live in to make sure you can have a generator installed due to any noise ordinances. Also, when installing a generator some buildings have a code. This code requires a professional installer to install the generator at least five feet from the home and five feet from flammable materials. Always hire a professional to install a generator in your home. Generators are big and they can be costly. The higher the generator’s size the more circuits it can power at once. The size of the generator that you buy for your home should be evaluated by the size of the emergency and how many appliances you need to have power during power outages. Installing a generator in your home has many benefits. Any appliances that you have in your home will continue to function normal. Food will not go bad and have to be tossed out. Sump pumps will continue to operate even in severe bad weather, preventing your home from being flooded. There are also people that work from home and use a computer and other technological devices. When having a generator in your home, these devices will continue to operate normally, and you can still use them to stay alert to the weather and power conditions. During the summer hot months, the air conditioner will continue to work and provide you and your family comfort instead of having to run and pay extra money at a hotel to sleep. Having a home generator adds value to your home and is definitely a selling asset when selling your home. Looking for the best Union County Home Generator Installation company? Bold Generators, LLC is the company to hire. They offer excellent service from beginning to end. Our office staff will complete any permits needed. We have skilled technicians experienced in all phases of the installation, including electrical, construction, paint and more. Bold Generators, LLC works with a licensed plumber for your natural gas installation. We can also work with your plumber or propane company. Staying safe in a power outage is important. A home generator keeps your home operating normal. Give Bold Generators, LLC a call today at (908)421-9157 or visit our website to see what we have to offer in a home generator. Does the approaching winter season have you searching for an Essex or Union County generator maintenance company? Are you currently shopping for Short Hills generators for protection against power outages? Home owners know that keeping the lights and heat on this winter is important. Your home generator can keep you safe and warm in an emergency. Discovering what models are available leads many home owners to an even bigger question. Do you want a service contract that includes full time monitoring and emergency repair service for your new generator? Home generators offer year round protection from power failures and peace of mind. Finding the right generator for your home isn’t just about power consumption. You have many different factors affecting the absolute best unit for your situation. Is your home running on natural gas? Do you have medical devices that require continuous power? Are you operating a business out of your home? Do you have separate meters for individual structures or apartments? Home owners also consider portable generators for taking to remote vacation spots. You can decide on a generator that will power your entire house or a unit powerful enough for the essentials. Home owners consider different things ‘essential’ for their own reasons. Working with a home generator installation specialist is the best way of finding the right unit. Keeping your home safe and comfortable during a power outage is the objective. Finding out you need more power during an emergency is not a good outcome. Having continuous power for some home owners is life essential. All home owners find continuous power convenient. Your living space requires a steady flow of electricity by design. Power companies try their best at keeping the supply available. You only pay for electricity that is available. Your needs always outweigh those of the electric company. Maintaining continuous power through the worst storms is only possible when you have a backup power source. You depend upon the reliability of your backup generator. The power company monitors their electric grid continuously so that they can restore service quickly. Having your backup system monitored is just as important for your home. Are you looking into the options for generator maintenance contracts? Having the assurance that your home will have continuous power during an emergency is what the generator is all about. You deserve the best possible sales, installation and maintenance service available for your new generator. Your home generator provider is as important as the generator itself. Home owners lead busy lives and great service providers respect the pressures of maintaining a safe home. Sharing the responsibility of protecting your home and family with qualified professionals improves your overall wellbeing. Do you dread losing power with no way of knowing how long it will stay off? Does the benefit of avoiding a power loss sound appealing? We provide sales and service for Short Hills generators. Our staff is always friendly and courteous. You can expect the very best experience when working with us for any electrical emergency that might arise. Your home and family is important to us which is why we always treat our clients like neighbors. You can give us a call today to schedule an appointment or just ask questions. Our team loves providing valuable services like home generator sales, emergency repairs and state of the art monitoring. You deserve the same professional service our clients rave about. We look forward to assisting you with all of your home generator needs. Looking for the best Scotch Plains Generators? Look no further, Bold Generators is the company you need. You need an emergency electric services in Scotch Plains. Installing a natural gas or electric generator is a pretty straight forward process. People realize they need a generator after they have gone through a power failure that has affected them and caused distress. When a generator is installed, there are some things to consider. A homeowner needs to figure out what size generator they want and need. They need to ask themselves, if they want a generator just to provide power for the refrigerator and a sump pump, or do they want one for the entire home? All backup generators work with a transfer switch, an electrical monitor that will turn on from the utility to the generator. The transfer switch tells the generator when to turn on and turn off. This transfer switch transfers from the power breaker panel to the generator’s power. The location of where a home generator is to be installed takes some planning. The proper location is important. The best place to install a home generator is between the electric and the gas meter. The shortest run of both the gas and electric meters is in the middle, which is the best place for the generator. Oftentimes, the gas meter needs to be made bigger allowing enough gas to flow especially when all gas appliances are being run together. A generator always needs to be at least five feet from your property line and at least seventeen inches from the side of the house. Once you have spoken with the professional contractor and talked about the size and the placement of your generator, you are ready to have it delivered and installed. The professional contractor will make sure that there is a concrete pad for the generator to be placed on. A generator can be between 400-500 pounds. When installing a home generator, after a few years of settling the generator can be leveled off easily. Once a generator is placed in the proper place, a transfer switch is installed. An emergency shut off switch is installed before the generator for any emergency stop and maintenance. The activation of a home generator is the last and final step of the installation process. All generators have different procedures. Once the generator is ready to go, it waits for the next power outage. It will have self-tests every week to make sure that it is reliable for the next emergency. Are you in the market of the best Scotch Plains Generators? Here at Bold Generators we have all your generator needs. Home generators are ideal for backing up your home. It powers a complete home which includes the air conditioner, heating systems, security systems and large appliances. There is no need for refueling since it runs on the home’s natural gas. A home generator delivers high quality power without hurting the home’s electronics. Bold Generators services all models of residential generators. Our experienced technicians are always being trained with all brands and the latest advances in the generator technology world. When you become a Bold Generators maintenance customer, you not only can have peace of mind that you will always get quality name brand equipment. When dealing with Bold Generators, you are dealing with a professional company backed by years of experience. Bold Generators is the number one leader in New Jersey of generator installations, sales and service. We take pride in our reputation. Give us a call at (908)421-9157 or come visit our website and see all we have to offer. We look forward to serving you! Looking for the best Mountainside Generators? Mountainside generators have Kohler generators which are known for their superior engines and their large selection of standby and portable generators. Homeowners in areas of extreme temperatures and extreme storms should have a generator in their home. Storms and excessive heat cause power outages. Having a built in or portable generator keeps all the electronics in the home safe. 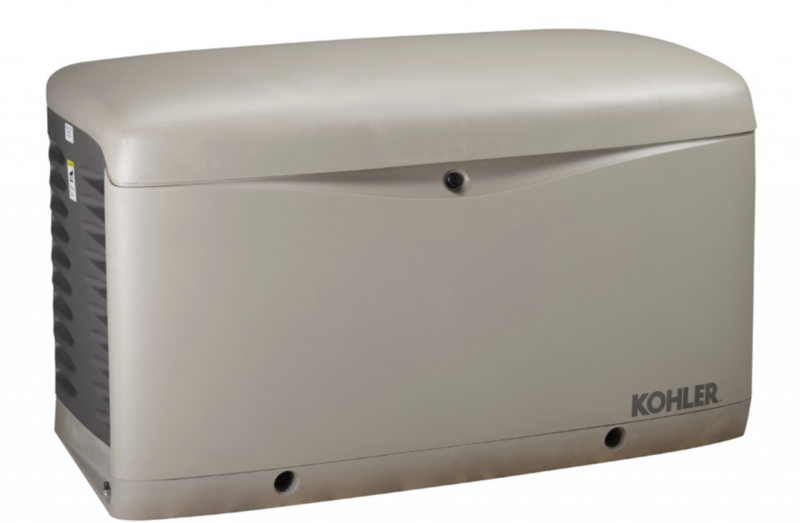 Kohler generators are able to assist you in maintaining peace in your home. When utility power fails, Kohler generators can restore power to your home or business quickly without much interruptions. As a result, Kohler generators have a powerful performance ability that leaves all other brands behind. 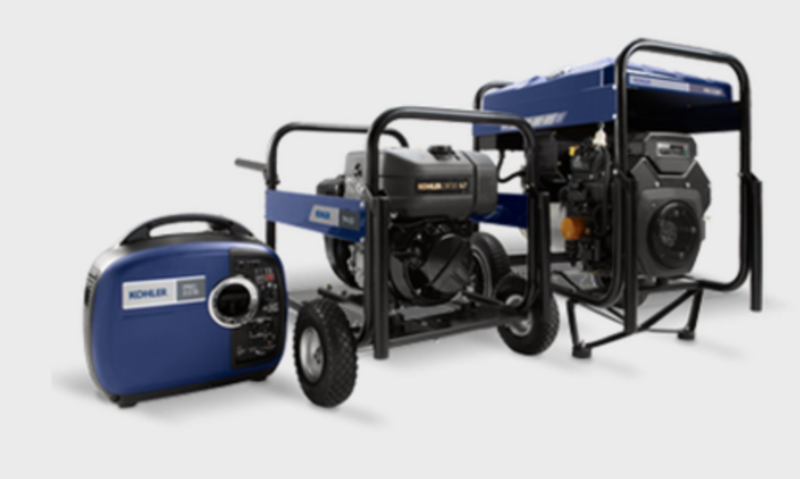 While some other brands of generators have features, the Kohler generators have a higher number of features. Making sure that the generator is ready when you need to use it, Kohler generators performs a self-diagnostic test. This simple test gives the homeowner a peace of mind that the generator is ready when they need it. A new Kohler generator has more than 80 years of proven performance into a power system for your home. Finding the right generator for your home depends on your cooling and heating system, your electronics and size of appliances. It is best to make sure your generator can be serviced locally. If it should break down, it is best if it is locally and can be done quickly, because you will have it in your home ready for use when needed. 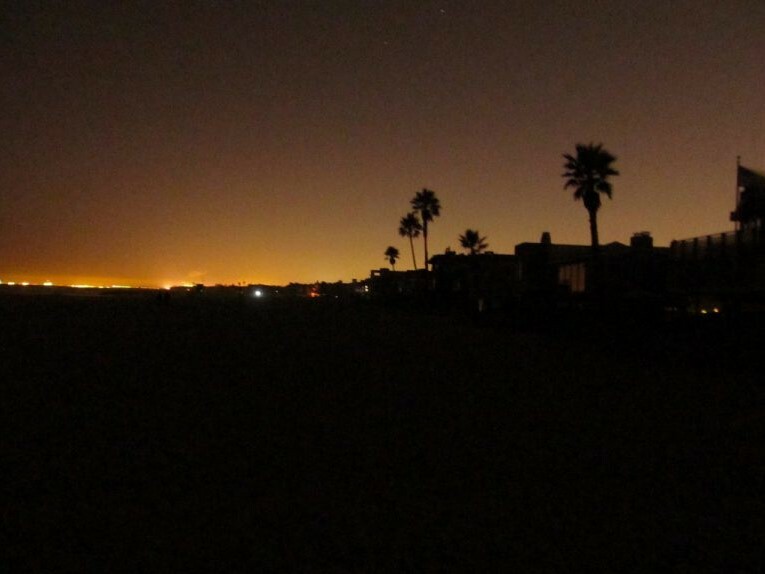 If you live in an area that has multiple blackouts, it is very important to have a reliable generator. The right generator can supply your family with power during outages. Applying these generator safety tips will keep your family and home safe. When running a generator, carbon monoxide is a risk. Therefore, it is important that you do not run your generator in your garage or any enclosed area of your home. Never, ever run your generator inside your home! Carbon monoxide is so dangerous because it can not be seen, tasted or smelled. As a result, it is important to know the signs of carbon monoxide poisoning. Some of the signs include, nausea, shortness of breath, dizziness and headaches. If you or your family experience any of these symptoms see medical attention right away. Are you in the market for the best Mountainside Generators? Look no further and come and see Bold Generators today. Backup generators are wonderful for homes and businesses. For the best installation and service, you can trust Bold Generators as someone you can depend on. Rely on our professionals at Bold Generators for their expertise and knowledge. Bold Generators has a maintenance plan that will make sure your generator will run properly all the time. Customers can depend on a generator that is maintained, tested occasionally and inspected by professionals will work as needed during those critical times. Bold Generators respond quickly to any emergency 24hours a day, 7 days a week. When you become a Bold Generators’ customer, you can rest assured that only will you always get quality name brand equipment, but you also get a professional organization backed by years of experience and knowledge supporting you and your home. We are New Jersey’s leader in generator installations, sales and service. We take pride in all our work and our reputation speaks for itself. Contact Bold Generators today at (908)421-9157 or come and visit our website and learn more about our generators. Our promise is to deliver exceptional products and service and reliable support. Our goal is to keep your generator operating at its peak efficiency. Looking for the best Summit Generators? A Kohler backup generator is safe and reliable for standby generator service. When the power goes out in a home, the homeowner hopes to have the power restored quickly. They are concerned with their appliances being without power for too long. When power outages become days, the problems become bigger and more serious. The safety of the food in the refrigerator gets destroyed. A Kohler Backup Home Generator relieves the worry of a homeowner during a power outage. It gives them a peace of mind knowing that their appliances are ok, and their home has power. A Kohler Backup generator works automatically. When power goes out, the generator begins supplying power to your home within seconds. The generator senses that there is an outage and indicates to a transfer switch to separate from the utility lines and connect from the generator. Once the power comes back from the utility company, the generators knows to reconnect to the utility and shuts the generator off. The peace of mind that the generator does this automatically is remarkable. You will never have to be concerned about your food in the refrigerator going bad, the generator takes care of that for you. Contacting a generator professional to install the best possible generator for your home is ideal. You cannot beat a Kohler Backup Generator when it comes to reliability and safety. The electrical connections work together with your circuit breaker panel which prevents any danger. Because it works with your electrical panel all your appliances, air conditioner and heating system work automatically. All generators need fuel to run. Kohler Backup Generators run on natural gas or propane gas from your home tank. With natural gas it is unlimited. With propane gas depending on the size of the tank you have at home, it can last from 1 to 2 weeks with complete 24/7 backup power. Every homeowner dream to have such a long time backup system with no worries. Kohler Backup Generators engines are built to handle any tough situation. They run smoothly for days and even weeks, so a homeowner can fully rely on them. They also run smoothly during harsh weather situations and all types of temperatures. The quality of a Kohler Backup Generator maintains its quickness even when there are multiple things it is bringing power to. Its output frequency stays current all the time and does not change, even when there are additional motors like air conditioners, furnaces or sump pumps it has to power up. No matter how many electronics it has to provide power to, the state of the art system provides fast and sufficient voltage to everything in the home. The Kohler Backup Generators are made in the USA. It is the leading manufacturer of generators in the USA. They are reliable and dependable. They keep your family and home safe through any power outages. On the market for a Summit Generator? Look no further and contact Bold Generators. We provide our clients with comprehensive and full services in home backup generators. Our priority is keeping your family and home safe and 100% customer satisfaction. A well planned preventative maintenance program is vital to the operation of any generator. Bold Generators’ maintenance plan certifies that your equipment is running properly every time. When you become a Bold Generator client you can be certain that you will always be dealing with a professional company that has years of experience and service. We are New Jersey’s leader in generator installation, sales and service. Give us a call today at (908) 421-9157 or visit our website. Looking for the best Bridgewater Generators for your home? In a weather-related storm or a crisis, the electrical service in your home could be down for several hours if not several days. Stationary residential generators are for extended power outages. 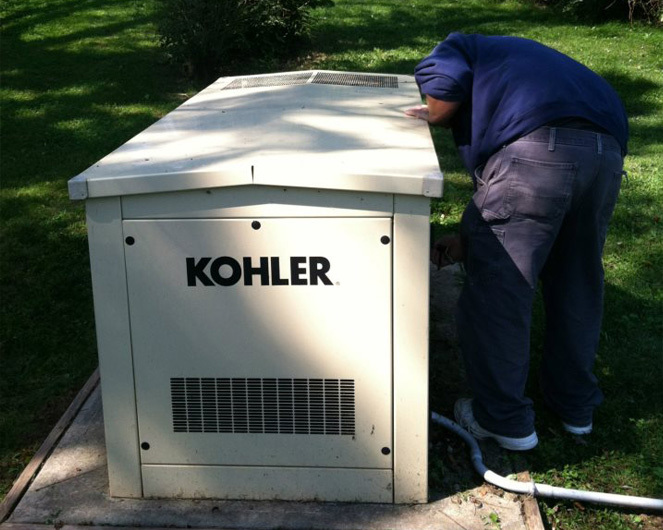 An NJ Kohler Generator maintenance will keep your generator working for years. Safety lighting the dark to maintaining heating or cooling for your home, a reliable generator is essential. There are many different kinds of generators, some are portable, and some are stationary. Bold Generators carry a complete line of residential generators suitable for all your needs. Portable generators have many different functions. They are able to run several appliances depending on the wattage output. Portable generators run by gasoline and are preferably used outdoors. When having outdoor activities, a portable generator is great. Portable generators will provide temporary power and they need to be fueled frequently. Usually they provide power to appliances through the use of extension cords. Most stationary generators are permanently installed on a concrete surface. They provide automatic distribution of long-lasting power for your electrical needs. Also, they connect directly to your home’s electrical panel. They are powered by natural gas, propane or fuel oil and do not need to be refueled. An extension cord is unnecessary when using a stationary generator. To get the correct size generator installed you will need a professional. When the power in your home is restored, the generator will automatically turn off and reconnect the home to its utility power. After 24-48 hours of continuous use, you should have a technician change the oil and filter to assure proper condition for the next use. A homeowner should always prepare their generators for the next storm. In the event of an emergency, generators should always be ready and prepared to prevent being caught in the dark and without power. It is best to get fresh gasoline and have some extra on hand to ensure you are always ready. A generator that has been sitting without being used for six months or more, it is best to drain and replace the gasoline. Also, before starting your generator check the oil level making sure they are at the right level and there is no dirt. If you see the air filter with some dirt it is best to replace it. Generators need plenty of ventilation, make sure you use your portable generator outside. Above all, try to run your generator once a month because you want to keep the engine lubricated. Trying to find the right Bridgewater Generators? Our lives depend on electricity. Bridgewater Generators installed in your home will guarantee that you will not be left in the dark. The heating and cooling system does not work when the power goes out, not much functions in the home. Accidents and storms can leave you without power. The highly skilled technicians at Bold Generators provide superior maintenance, service and installation of all their reliable generators. Bold Generators have extent experience in the generator industry. The knowledgeable specialists will know which generator will get the job done for your home. Professional installation also certifies that your generator will work safely when you need it. They will decide on what size unit is best for your needs. New generators installed receive a schedule for regular maintenance. When you become a Bold Generator customer you will always get the best high-quality service available. Our company is known for the expertise and the outstanding customer service care we offer. Contact Bold Generators at (908) 421-9157 and learn more about our entire line of generators and our high-quality installation service. Schedule an appointment today or come visit our website.